Pragmatic Play to launch mobile live casino games platform. Being a 100% technology-driven industry, the digital gambling market is so much more than it was just a few years ago, and vastly different from the turn of the century. The variety of games, their graphic quality, speed of play, and range of accessibility for users—all of these things are evolving quicker than the average software company can upgrade its systems to accommodate. Take Pragmatic Play for example. One of the industry’s up-and-coming software firms, Pragmatic Play has steadily built a reputation by providing a small but high-quality portfolio of products. Like most, they began with visually stunning and feature-rich online slot machines, then progressed into other game types, like RNG table games, video poker, bingo, and scratch cards. Now that the company has solidified its rightful position in the digital gambling software market, including a recent contract with the world’s largest online poker operator, PokerStars, they’re finally ready to pursue additional interests. According to this morning’s press release from their head office in Malta, Pragmatic Play is preparing to debut a new mobile live dealer casino platform at next month’s 2019 ICE Totally Gaming conference. 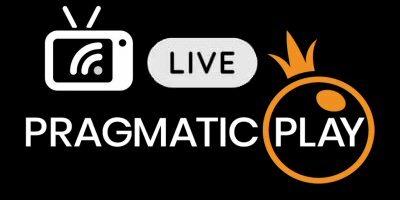 The announcement from Pragmatic confirms that the company has been working on a new live casino platform, and will be ready to debut the product a month from now. ICE Totally Gaming is the premier exhibition stage for the global iGaming industry. It takes place at the Excel in London on February 5-7, 2019. The firm will broadcast live dealer games from its new, state-of-the-art casino studio, promising a “wide selection” of table game titles spanning baccarat, blackjack, and roulette at the minimum. Pragmatic says they’ve employed a professional team of “highly-skilled dealers” to facilitate the new product line. Being so late to the game—so to speak—Pragmatic actually has some advantages over their larger competitors. Bigger live casino brands like Playtech and Evolution Gaming, who pioneered this now immensely popular venue, were forced to start from scratch. They tried all the possible pathways before finding what works best. Pragmatic Play is coming onto the field more than a decade later, and will need to claw its way into the heart’s of customers, but it will do so with the advantage of promoting supreme quality video and audio equipment to a seasoned audience that understands the importance of such technology. One of the biggest advantages for Pragmatic is the ability to hit the floor running with a mobile-centric approach to live dealer casino gaming. When the bigger brands started, mobile gambling wasn’t a thing. Smartphones didn’t even exist back then. Today, the majority of online gamblers are accessing the games with a mobile device. Pragmatic says their technology utilized an “expertly-modeled UI” that’s geared towards the provision of an “immersive, mobile-first gaming experience”. We’ll find out how true those words are a few weeks from now.